The country is still on a high following the success at the AFC U23 Championship. More good news has been announced for Vietnamese football, with three nominations for the first ever Southeast Asian Football Awards organized by UK-based football publisher FourFourTwo. Vietnam is up against Thailand and the Philippines for National Team of the Year. "The Vietnamese side has undoubtedly made great progress, but is still struggling to take that final, significant step. 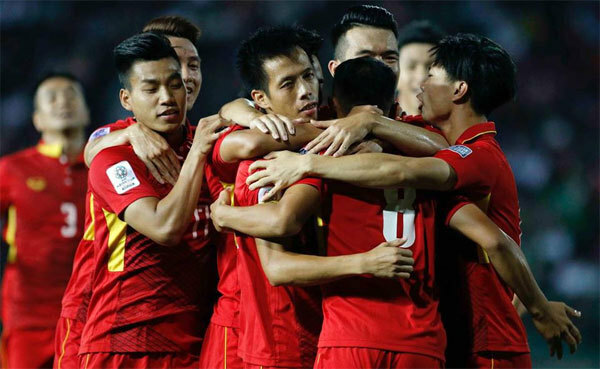 "After topping its group at the 2016 Suzuki Cup (Southeast Asian Football Championship), Vietnam bowed out in the semi-finals to Indonesia. "But having secured qualification for the 2019 Asian Cup in the U.A.E. with an unbeaten record with one fixture remaining, the team has another chance to get themselves on a podium on the continental stage,” said FourFourTwo. Striker Dinh Thanh Trung, 29, has been nominated for “Player of the Year” alongside two players from Thailand, one from Indonesia and one from Myanmar. 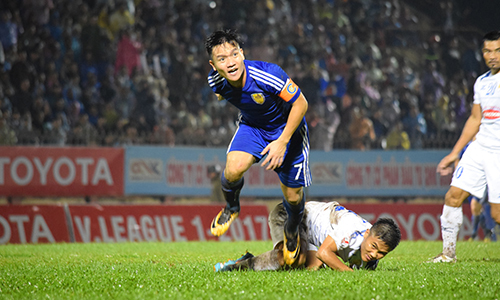 Trung played a big role in helping Quang Nam Club win the Vietnamese National Football Championship (V-League 1) in 2017, and he was named Best Player after scoring 10 goals in the campaign. “The pint-size Vietnam international was a joy to watch as his close control of the ball gets him past opponents. He is also good with set-pieces and is an excellent passer of the ball,” FourFourTwo commented. Midfielder Nguyen Quang Hai, 20, received a Young Player of the Year nomination. 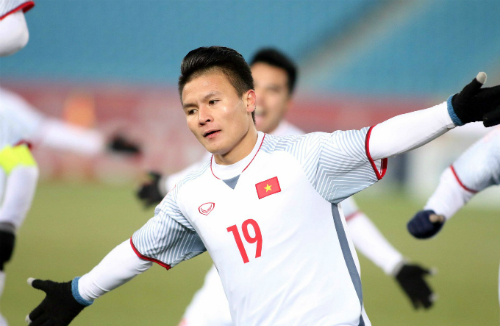 Hai became famous on a continental scale after his performances helped Vietnam to become the first Southeast Asian team to reach the final of the Asian Football Confederation (AFC) U23 Championship, where the team finished runner-up. The 20-year-old won the Goal of the Tournament award at the championship as decided by an online poll. Two Thai and two Malaysian players are also in the same category as Hai. Other categories include Coach of the Year, Import of the Year and Club of the Year.